Golden Axe. It's a classic beat'em up and one of my favorite games of all time. We might not see many games in that style anymore, but there's a few indie titles trying to revive a genre least seen. Dungeons: The Eye of Draconus is a modern day beat'em up with a throwback feel to games like Golden Axe. In fact, I'd say the game is so directly inspired by the series that it's almost satire on the game and genre. I won't spoil every reference to that classic SEGA series, but from the characters, the character select screen, certain levels, and a familiar campsite, you'll be reminded at many twists and turns. Last night we gave the game a try in online three player co-op, each player becoming increasingly uncomfortable as the jokes were laid out. It's all good though, I definitely chuckled numerous times and found the humor more than adequate. 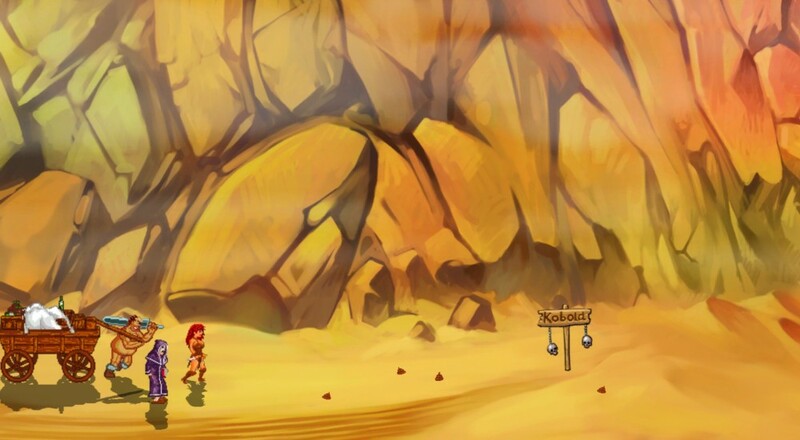 It's tough to say if the game's slightly "rough" art style is meant to be, or simply the result of a low budget title. Either way it works. Sadly we hit some issues with syncing over the internet and faced a crash or two. Enjoy a clip from the third level of the game, where the characters raid an Orc kegger party. Page created in 0.6309 seconds.